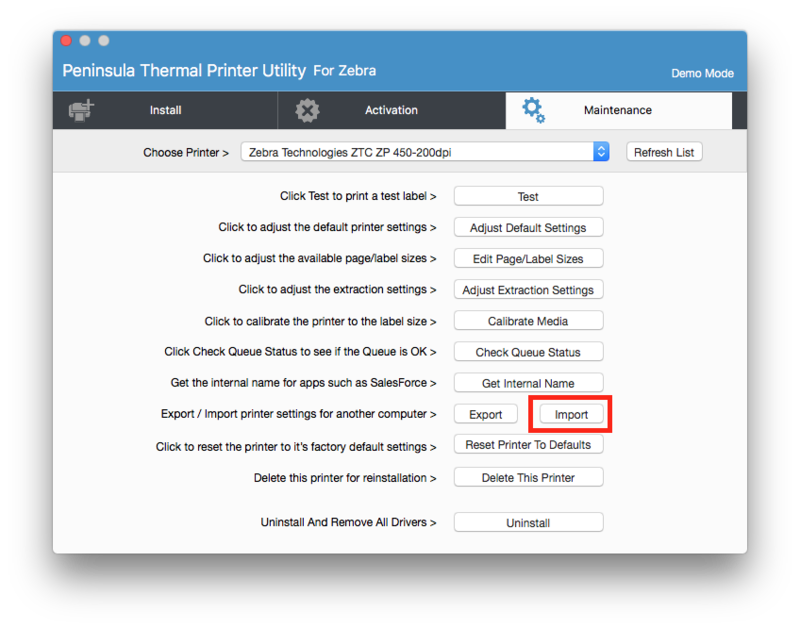 Below you will find a tutorial showing you a step by step guide to importing printer settings. 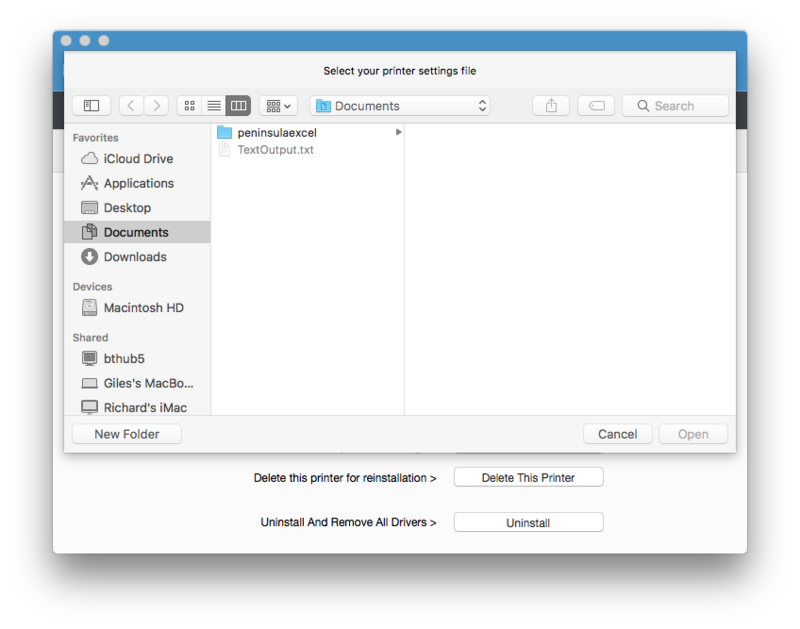 When you are on your new machine, download the Thermal printer driver again and activate it. You will then need to plug in your printer and ensure it is switched on with a green light. To import your printer settings go to the Maintenance tab. 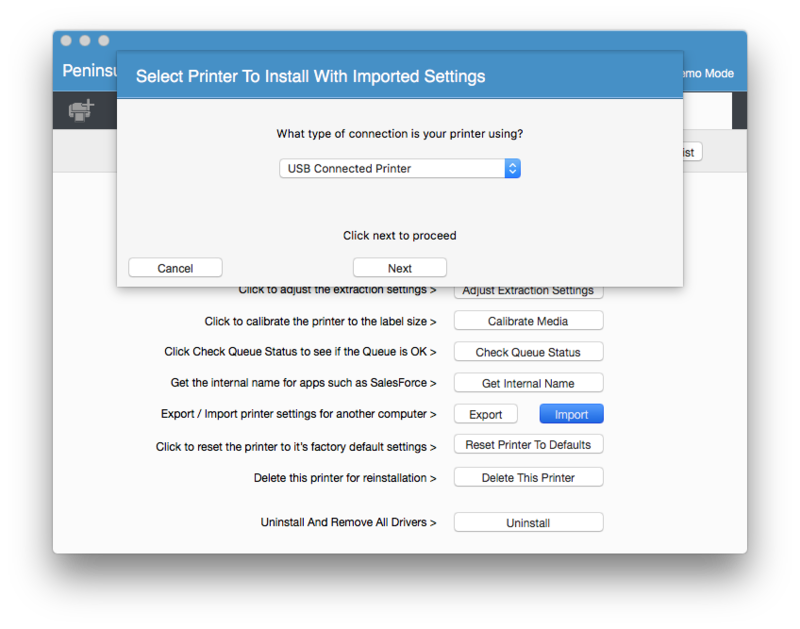 Click on the "import" button to import your printer settings. After you have clicked on the "import" button a new dialog will open. Your files will open and you will have to find your printer settings file. Ensure you have selected the correct file, then click the "open" button. After you click the "open" button a new dialog will open. Here you will need to follow the steps to import. The first dialog asks you to select which type of printer you are using. After clicking the "open" button to open your file a new dialog will open. You will need to follow the onscreen instructions until the install dialog shows. For this dialog you will need to select what connection type your printer uses and then click "next". The next dialog will ask you to select which printer you are using. Ensure you select the correct printer and click the "next" button. 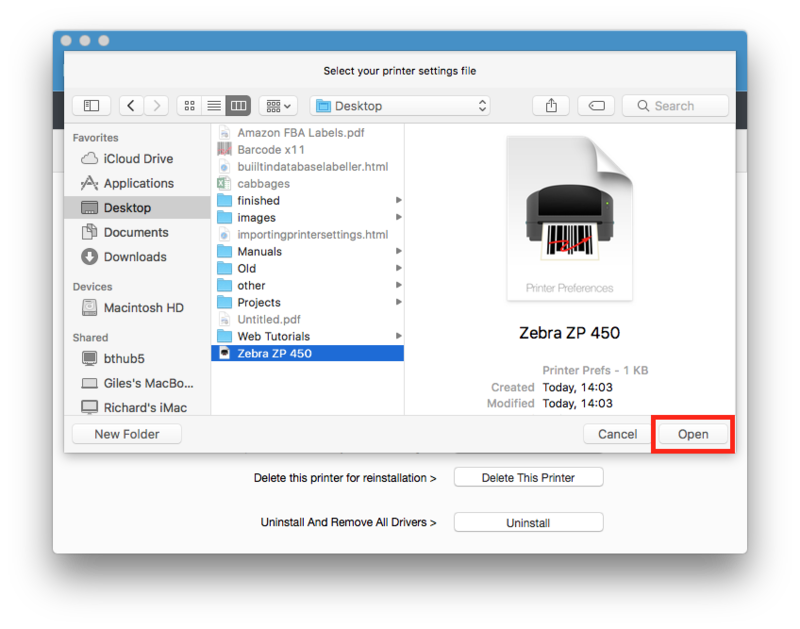 The next dialog is asking you to give a name to your printer so you can recognise it. When you have chosen to either give it a new name or keep the default click the "next" button. The next dialog will be the install printer dialog. All you need to do is simply click the "install printer" button. 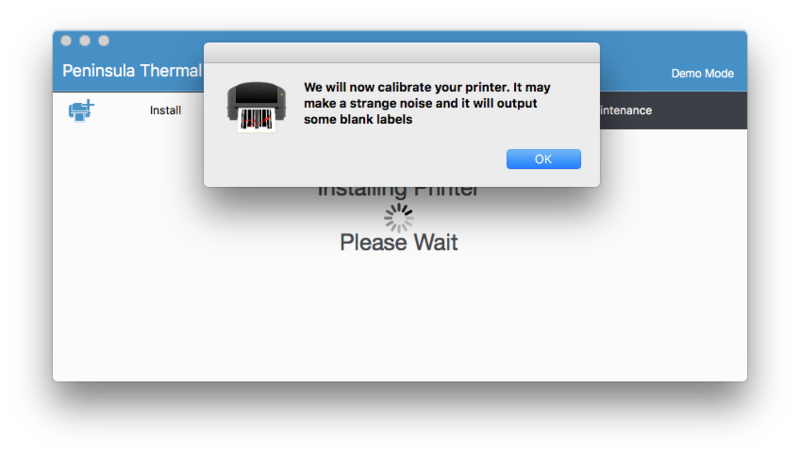 After clicking "Install printer" a second dialog will open saying the printer will be calibrated. 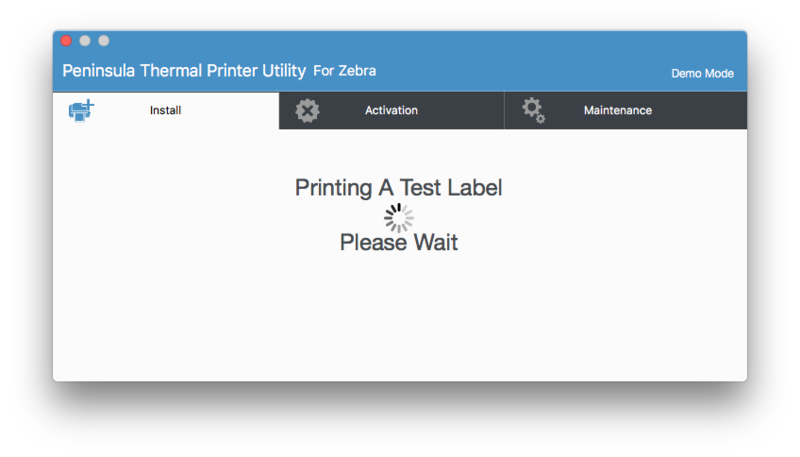 After clicking "OK" your dialog will change to say it is printing a test label. A test label should print from your printer, Then your import is complete.